Though there have been moves in Europe to phase out battery cages for hens, in the US the vast majority of egg laying chickens are confined in battery cages such as these. 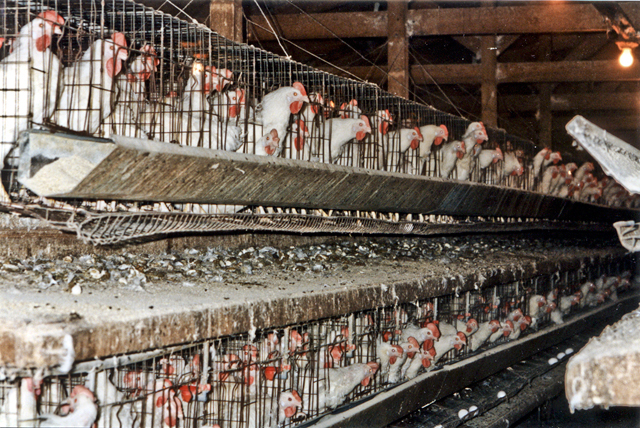 These cages have wire floors and four or five hens are commonly packed into each cage. Obviously they cannot stretch their wings or exhibit any normal chicken behavior.